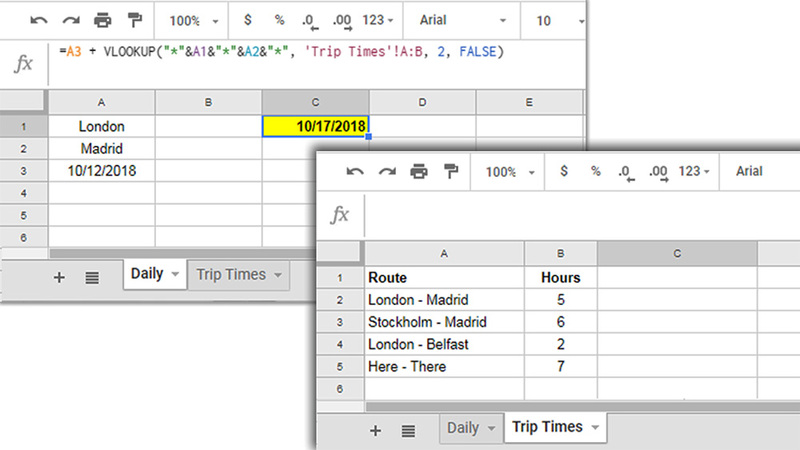 I’m trying to make sheets calculate my delivery times based on which locations the items are shipped between. Tried combining the Ifs and AND formulas, but I keep getting errors. And so on. I have at least 11 different delivery times depending on destinations. How can I make this formula run? firstly are you passing two conditions ? Must A1 be London and A2 be Barcelona for the formula to equate to true? secondly, you need to wrap any strings in " " so Google sheets knows it's a string and not an integer.